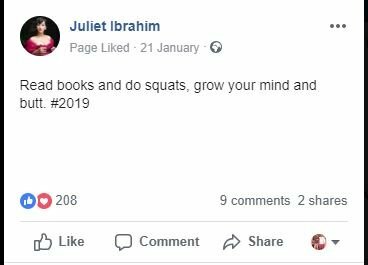 "No matter what you put on, your dysfunctional, ugly K-legs are revealed’ – fan fights Juliet Ibrahim on social media"
To me, Juliet Ibrahim is super, very beautiful and very generous. She is the kind of celebrity I like. she is a role model.